With tender chocolate chip cookies and a fluffy no-churn ice cream, these frozen treats taste just like your favorite chocolate chip cookie ice cream sandwich, only better. At room temperature, these cookies may seem weirdly soft and cakey, but once frozen they transform into the crunchy but tender basis for a classic twist on the ice cream sandwich. Whether filled with creamy fior di latte gelato, your favorite store-bought ice cream, or perfectly cut wheels of no-churn ice cream, it's a frozen treat that can be customized to your heart's desire. Brown sugar keeps the cookies soft and flavorful at frozen temperatures. Malted milk powder helps the cookies taste more flavorful when frozen. Nutmeg amplifies the aroma of butter. Milk lets the cookies spread, so they're not too thick, with a texture that's crunchy (not hard) when frozen. Make the Dough: Adjust oven rack to middle position and preheat to 350°F (180°C). Combine butter, brown sugar, malted milk powder, salt, baking soda, and nutmeg in the bowl of a stand mixer fitted with a paddle attachment. Mix on low to moisten, then increase to medium and beat until light and fluffy, about 5 minutes. Pause to scrape the bowl and beater with a flexible spatula, then resume beating on medium low. Add the flour all at once, followed by the vanilla, then drizzle in the milk to form a soft dough. Scrape the bowl with a flexible spatula, and continue mixing for a few seconds more. 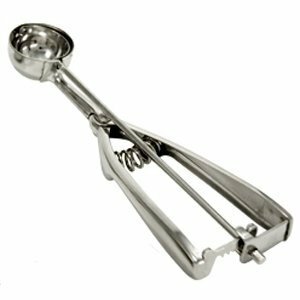 Off the mixer, fold the dough a few times from the bottom up to ensure there are no streaks of unmixed dough, then stir in the mini chips. Portion the Dough: With a cookie scoop, divide dough into 2-tablespoon portions, and arrange on a parchment-lined half sheet pan, leaving at least 2 inches between each cookie to account for spread. With moistened fingers, gently press each portion into a flat disc, about 1/2 inch thick, and sprinkle a few extra mini chips on top. Bake until the cookies are puffed and lightly golden all over, but still a little soft, about 18 minutes. Cool to room temperature, then transfer to an airtight container and freeze until needed. Form the Sandwiches: Pour reserved mini chips into a small dish. If using the Klondike-style, no-churn filling, cut into rounds with a cookie cutter approximately 1/4 inch smaller than the chocolate chip cookies. If using fior di latte gelato, scoop into approximately 1/4-cup portions. Sandwich the portioned ice cream between two frozen cookies, then roll the exposed edges in mini chips to coat. Freeze in an airtight container at least 1 hour. Serve, or wrap each in plastic and return to the airtight container to freeze up to 1 month. The yield of this recipe will vary, depending on how well the dough is aerated during the creaming process and the exact size of the cookie scoop, so consider the listed yield an approximation.